Situated on Upper Balcones Road in the northwest corner of Bexar County sits 165.751 ag exempt acres ready for your final touches. 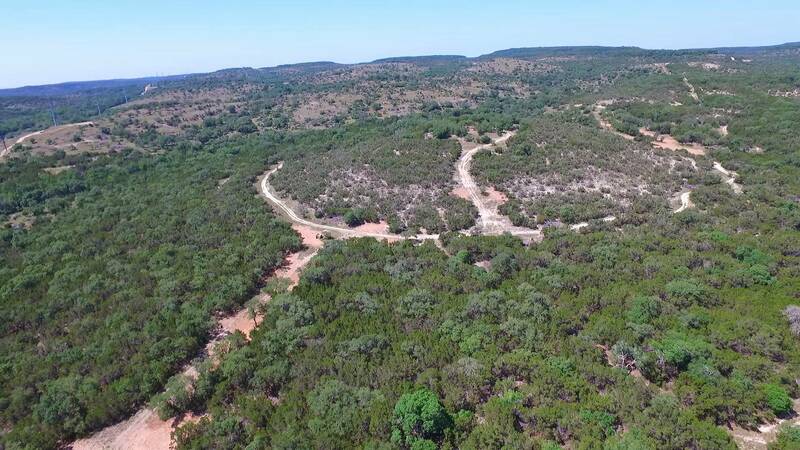 Located just five miles off Interstate 10 lies a diverse terrain filled with excellent native grasses, hill country spring, peaks reaching approximately 1700' in elevation, and one of a kind Hill Country views. There are several excellent building sites on the ranch ready to call home. Upper Balcones Ranch provides the feel of being miles away with the conveniences of the big city down the road. Rundale Creek runs through the North end of the property, along with other seasonal creeks and tanks on the ranch. Wildlife on the ranch include whitetail deer, hogs, dove, turkey, and other varmints. Along with great cover for wildlife there are multiple hay fields cleared and ready for cultivation. Vegetation includes many oak varieties, elms, pecans, cedar, walnut, and native undergrowth. Selective clearing of cedars has provided many open areas underneath the canopy of huge trees along the cool bottom land sections of the property. Perimeter and cross fencing and roads provide an excellent foundation to make this ranch your own. 6 miles to Boerne main st, 6 miles to Leon Springs, 4 miles to HEB, 4 miles to Starbucks! Special property in a special location. Call for more details, or to schedule a visit to see it for yourself. To contact the agent for this property, call 210-901-1000 or email info@landinvestex.com.